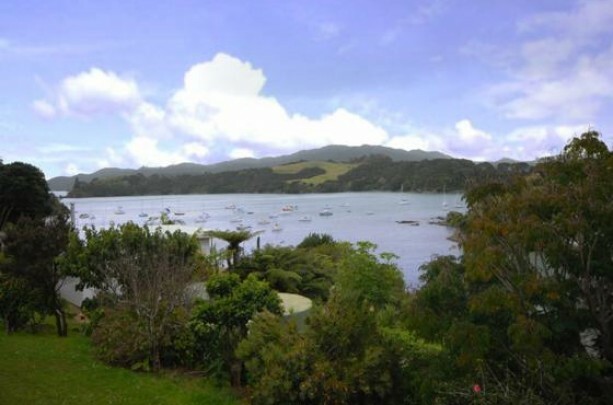 i te moana ( beside the sea) lives up to its name. 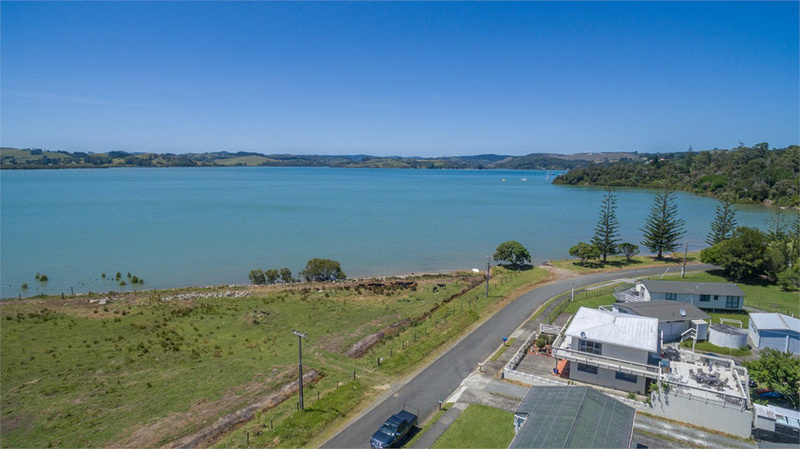 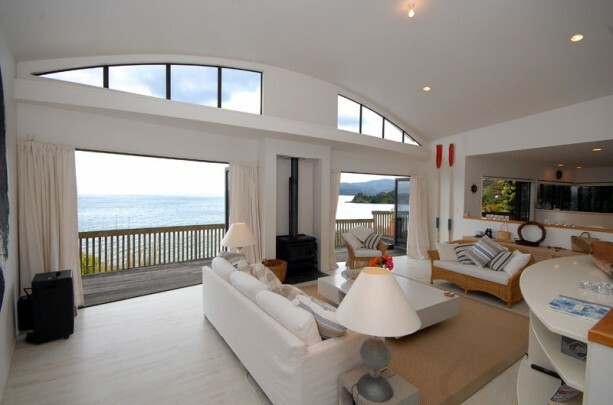 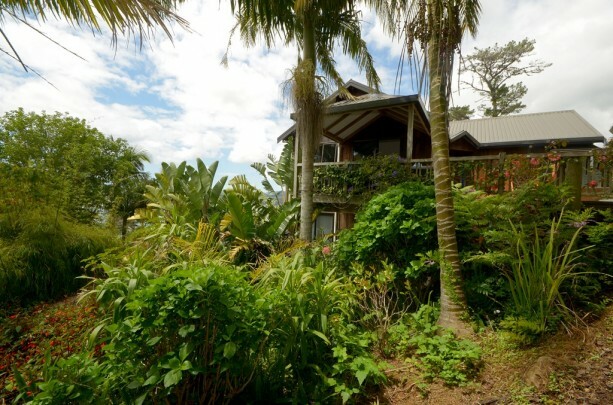 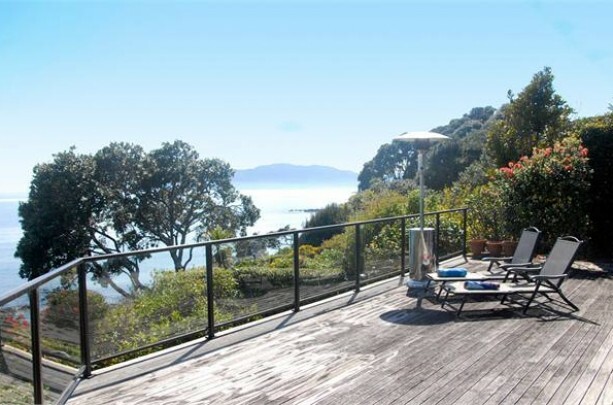 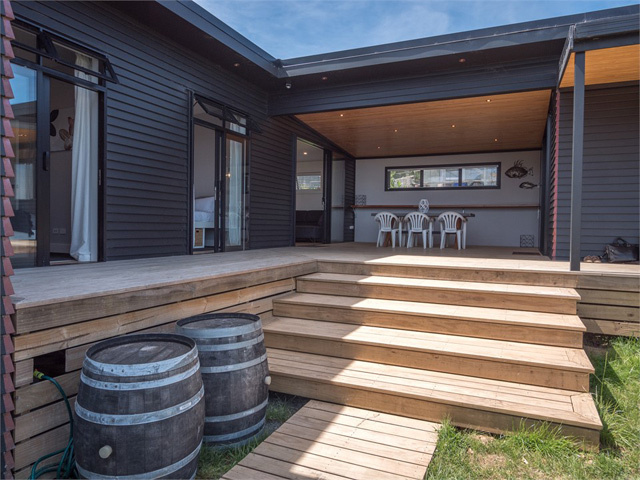 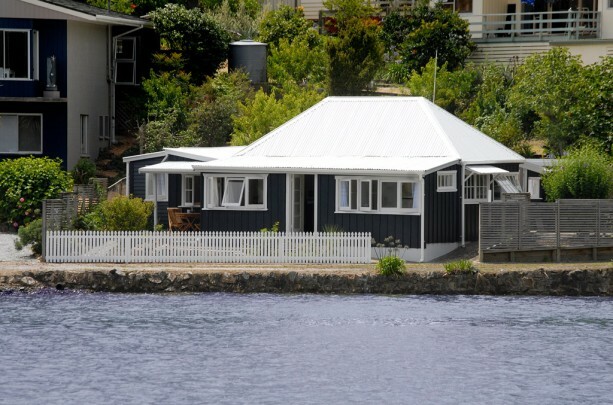 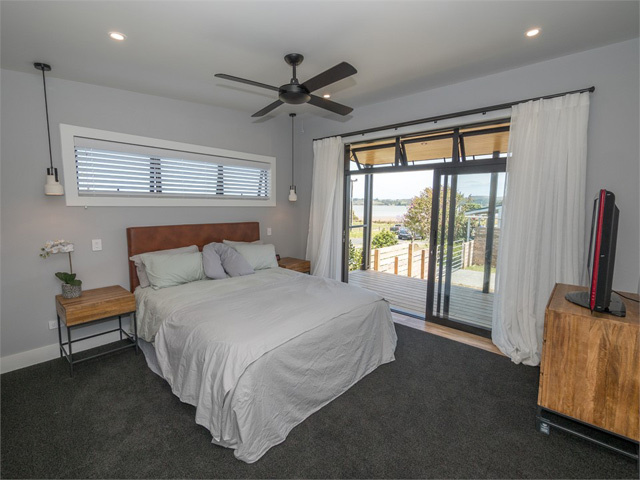 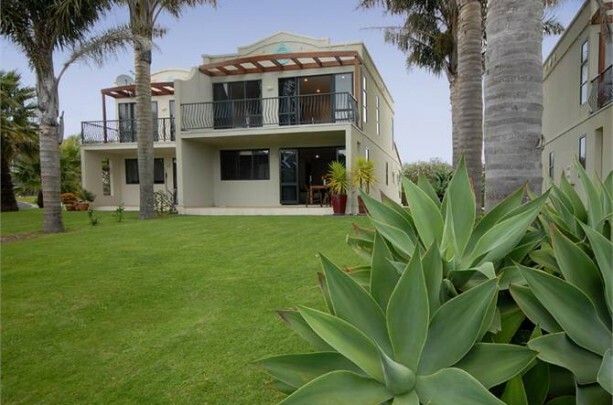 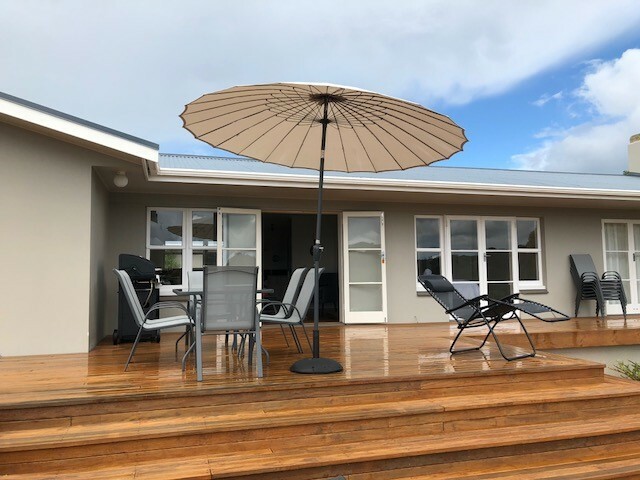 This beautiful, purpose built holiday home sits across the road from the picturesque and ever changing Mangonui Harbour and a short stroll to the waves of HiHi beach. 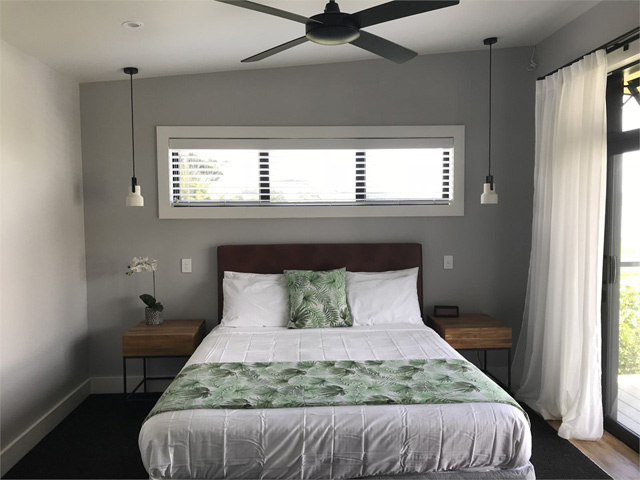 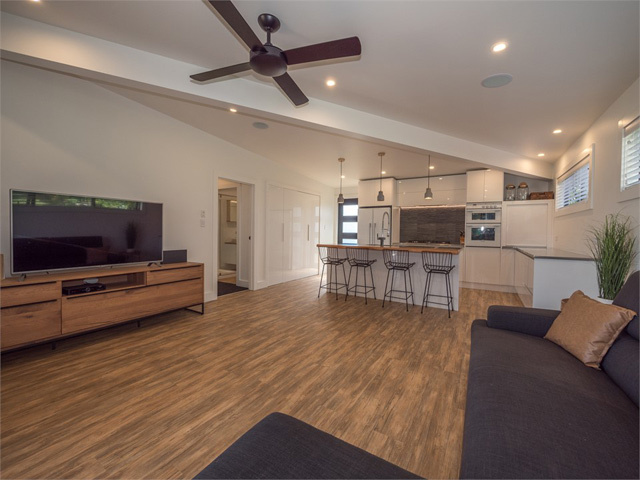 Your holiday comfort has certainly been thought of in this recently completed holiday haven. 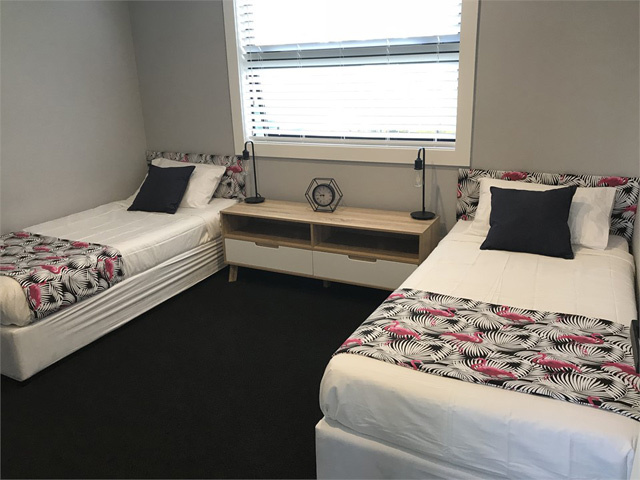 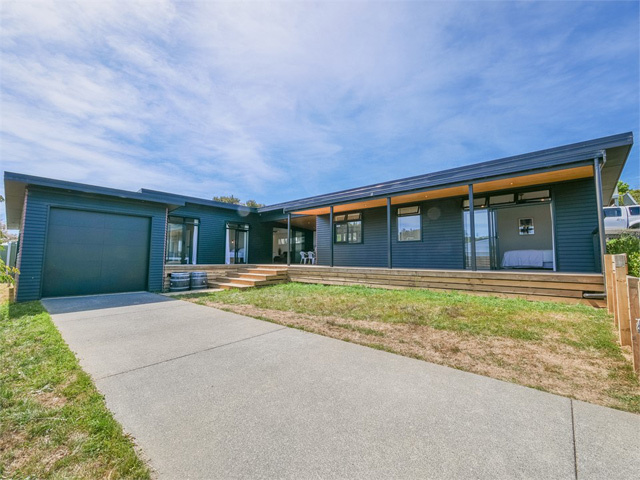 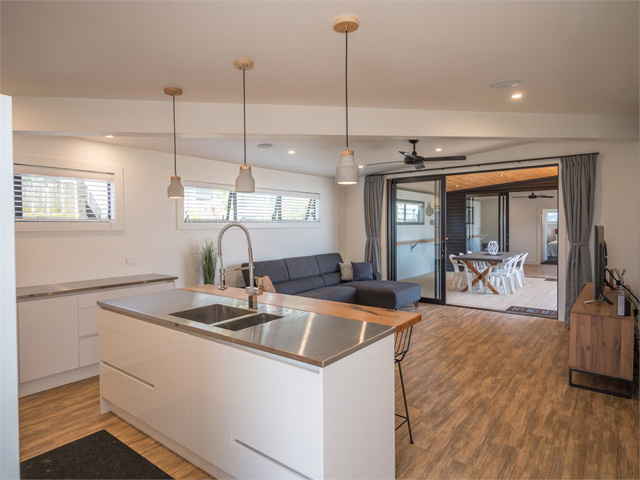 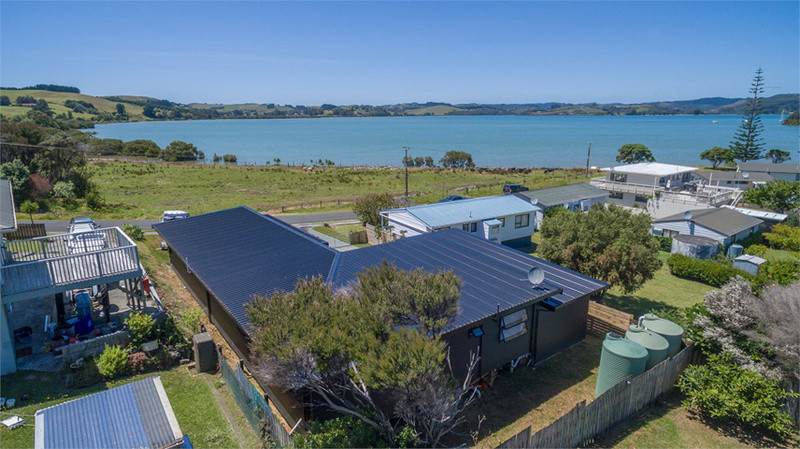 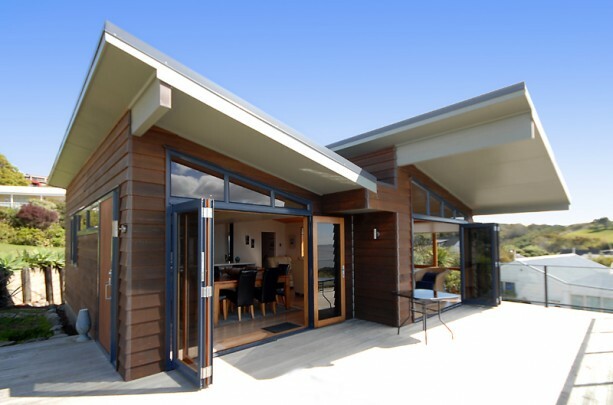 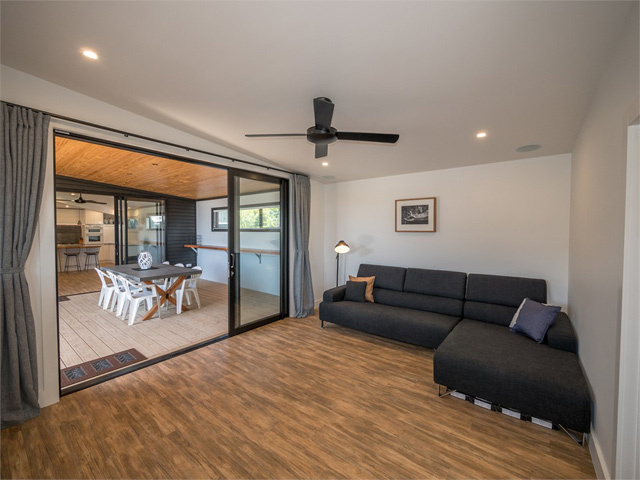 i te moana is a fantastic new addition to the Mangonui Holiday Homes options and comprises four bedrooms two living, and two bathrooms. 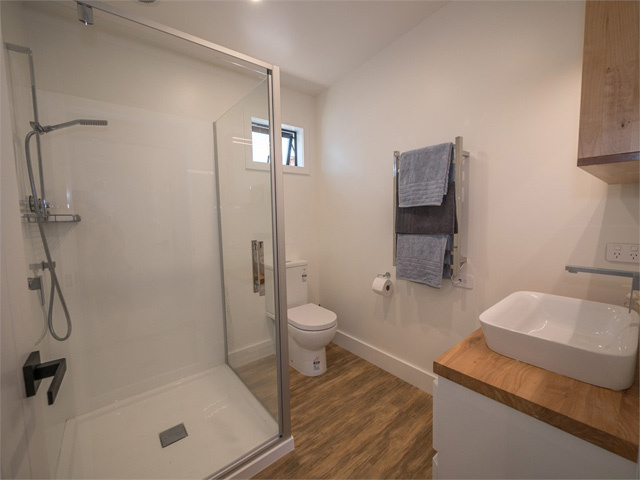 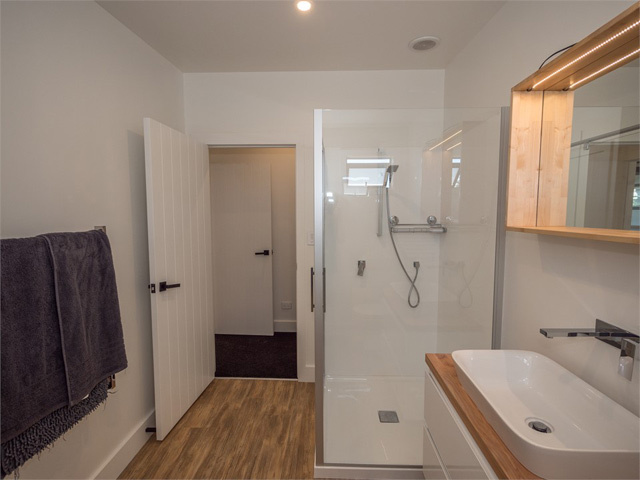 The main house has two double and one twin bedroom which share the house bathroom. 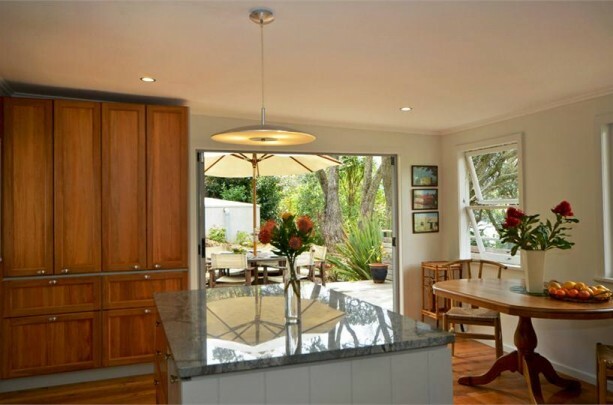 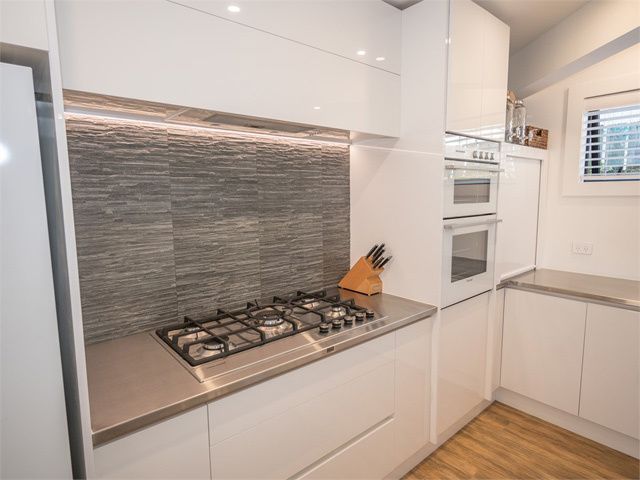 Down the hallway is a modern and well equipped kitchen living and dining area. 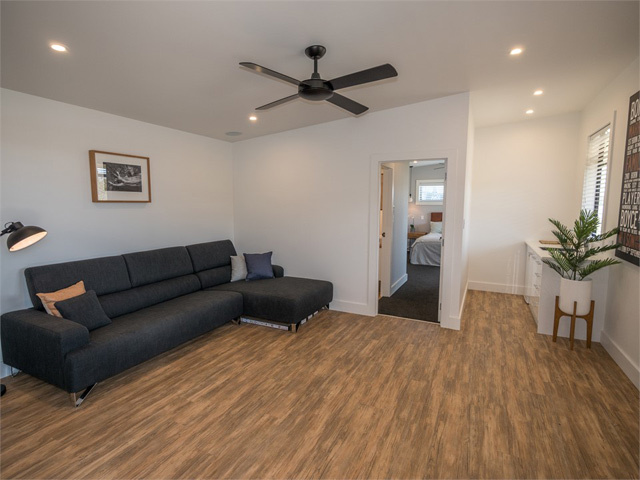 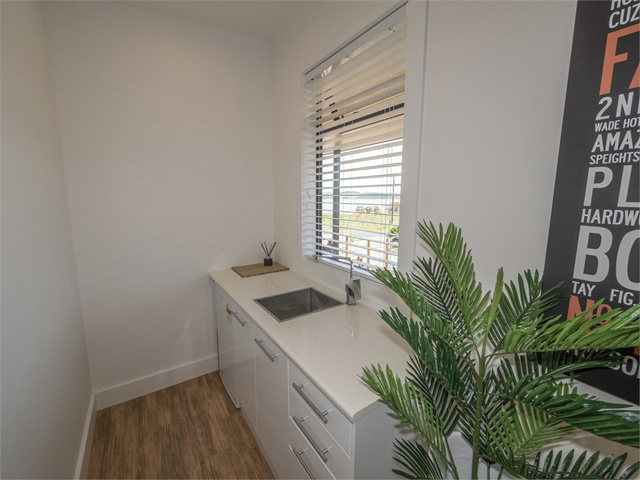 The mater suite has one double bedroom living area bathroom and kitchenette. 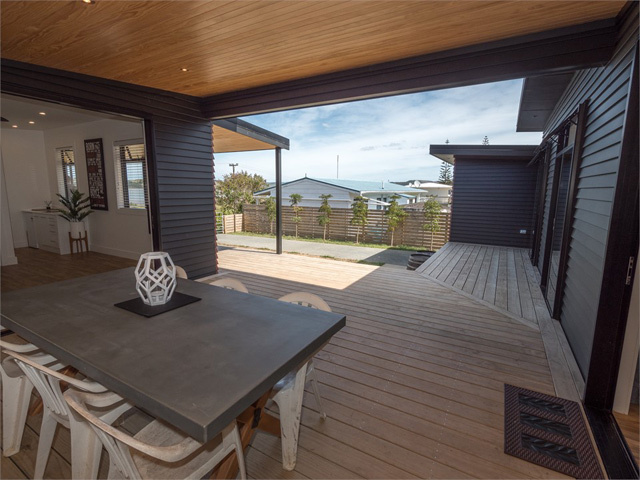 These two areas are connected by a expansive covered outdoor dining entertainment area. 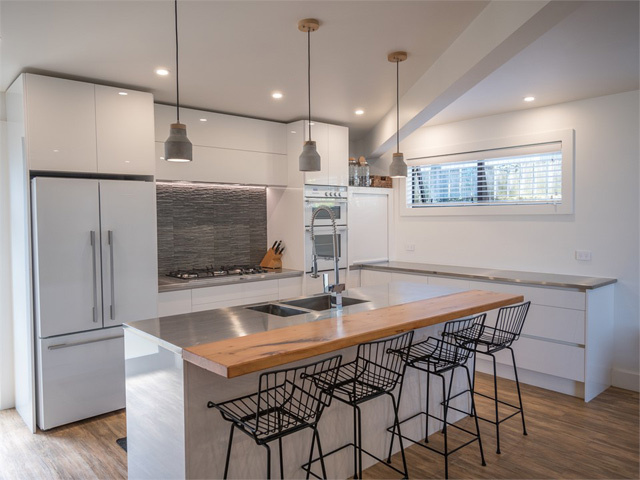 It’s a design feature that ensures optimum scope for family and friends to be as social or as private as the mood takes you. 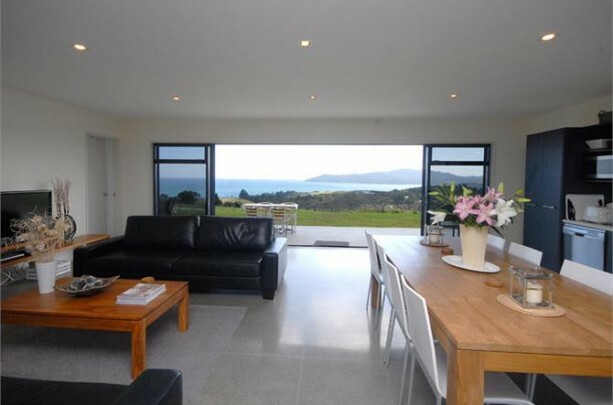 You can escape the teenagers …. 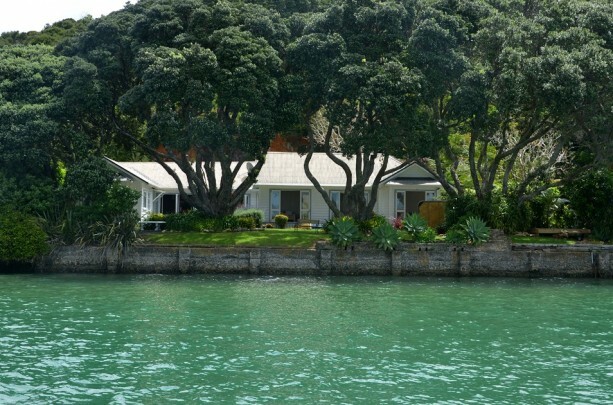 The section is totally fenced and there is plenty of room for the boat. 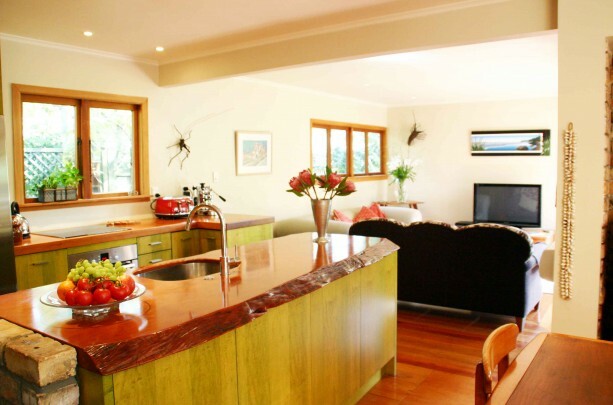 As pet owners ourselves we know the importance of sharing your holidays with our fourlegged family members so they too are welcome . 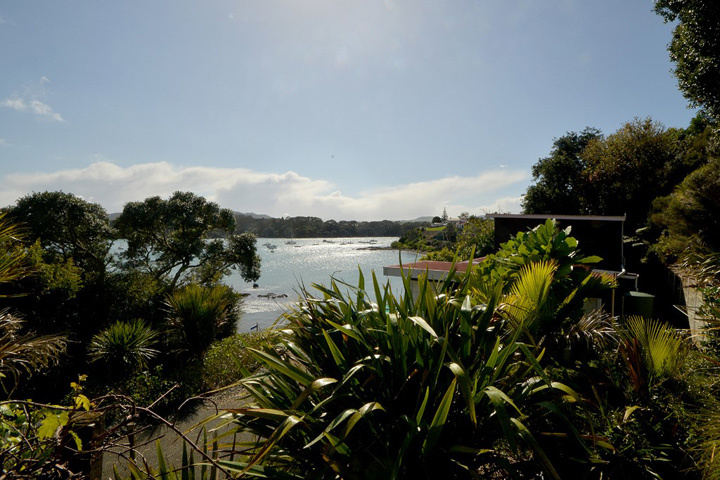 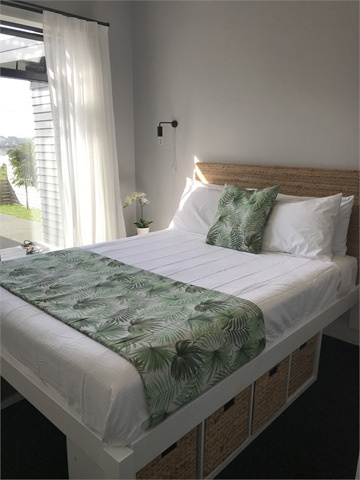 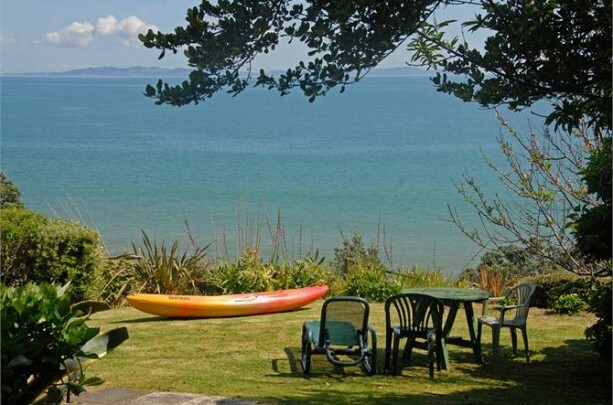 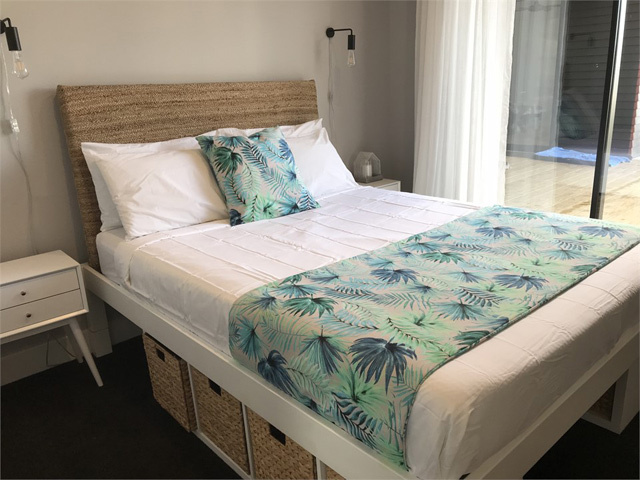 Holidaying in Hihi offers a lovely relaxed atmosphere with safe swimming beaches , the glorious Mangonui Harbour and access to Doubtless Bay. 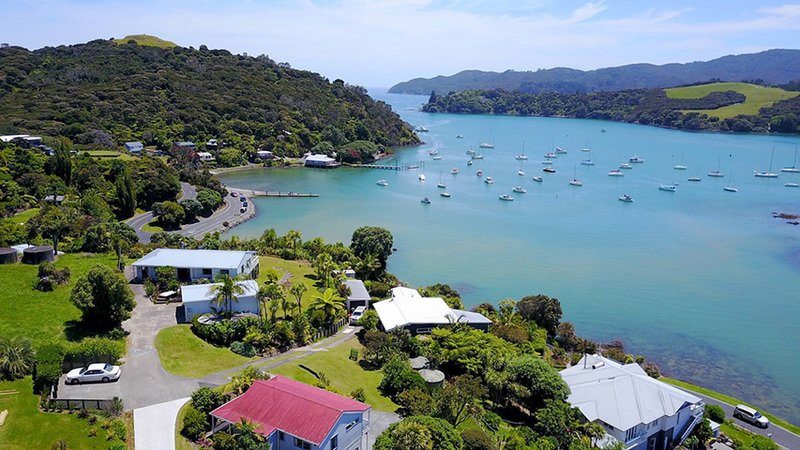 The historic village of Mangonui with its cafes, restaurants and shops is just a 10 minute drive around the harbour. 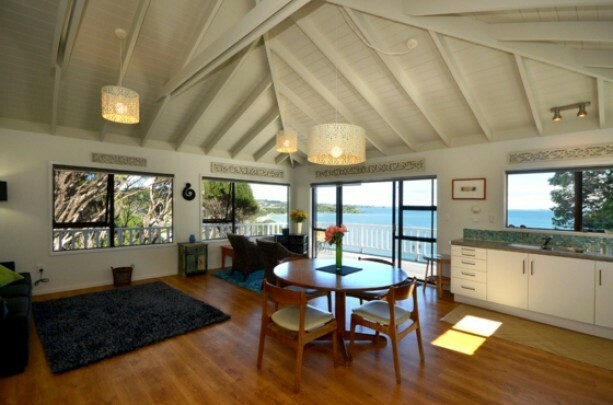 Come and experience this beautiful relaxed home and make some special holiday memories.